Sean Miller was looking for a financial relationship with an institution that could handle all of his needs in one location. Sean, an owner of four Jimmy John’s locations in the Little Rock, Arkansas area, was working with four banks at one time and wanted all of his finances handled by one bank that could accommodate his needs. 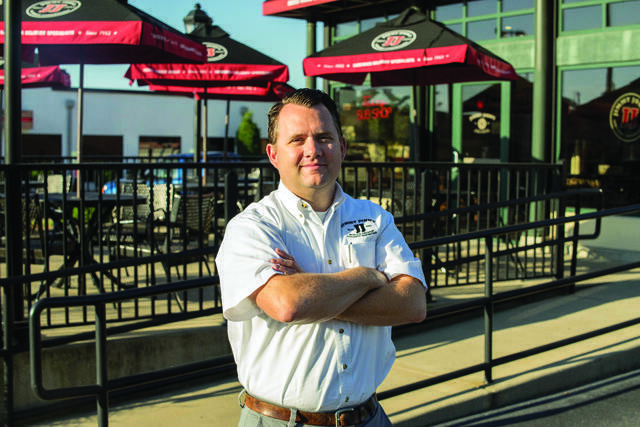 Sean started his first Jimmy John’s franchise in 2010. When he was referred to Stearns Bank by his mortgage broker in 2016, a new financial relationship began to bloom. “The whole thing came about because a piece of property became available with one of my locations; I was buying out a partner and was taking over operations in all four locations. I started working with Stearns Bank about a year ago and everything has been great since,” Sean said. Sean found Stearns Bank’s customer portal to be extremely easy to use while uploading the documentation he needed to get things moving during the financing process. The complexity of Sean’s financing wasn’t easy and he appreciated how Stearns Bank handled all the ebbs and flows of the process. “This was the first time I had done financing by myself," Sean said. "I had an old business partner who had helped me out before. I knew it would be different this time and it was really seamless because of Stearns Bank.